Talented US based felt artist Jan Waller (Love. Make. 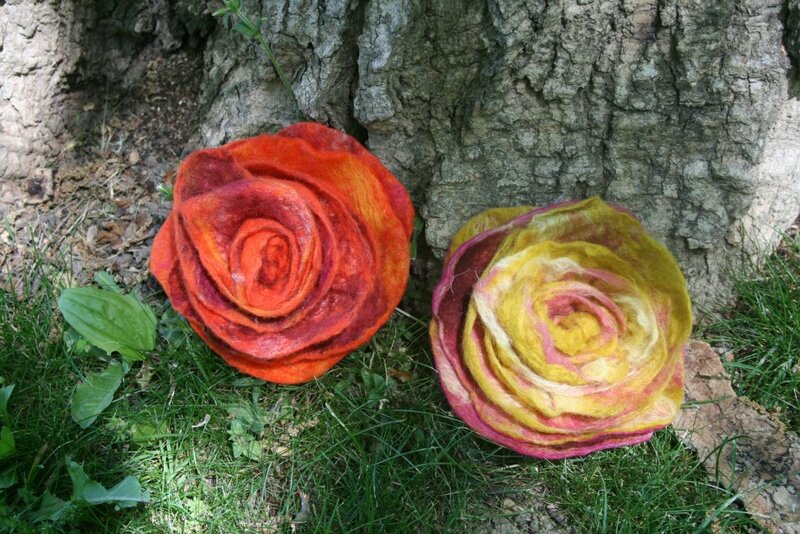 Think) along with her host Helen Smith (Helen Rose Glass), will be offering an introduction to wet felting in East Hannington, Essex on Saturday 20th July. If you have ever admired the beauty of felt art, and wondered how it is done, this is a class for you. Artists Jan Waller and Helen Smith, both experienced felters and teachers, will guide you through the basics of felt making. You will learn the ancient technique of making unwoven cloth using sheep fibre (merino), lots of water and agitation. Jan and Helen will show you two creative pieces that you can make with your new skill. 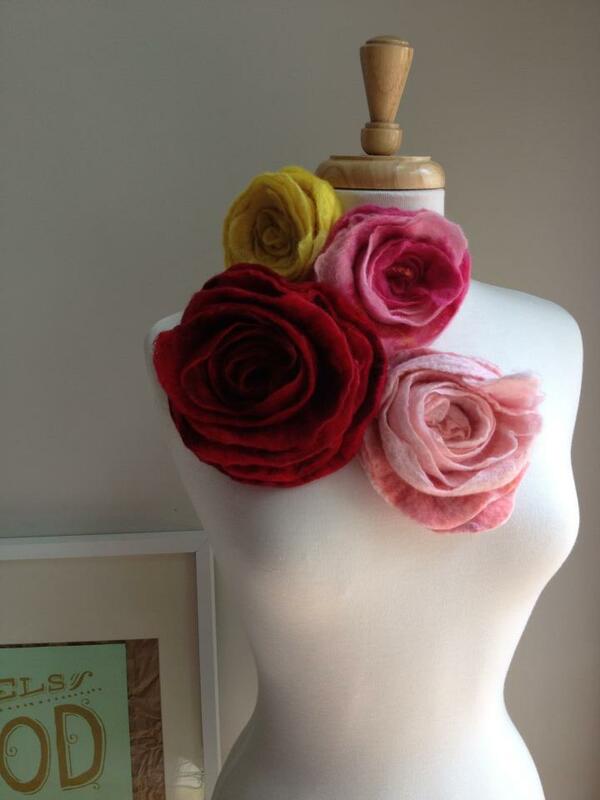 The first piece will be a beautiful rose corsage; a beautiful highlight to any outfit. The second, a simple felted pot using the 'resist' technique, which is the basis to make other 3D objects such as bags and hats. Once you have mastered the art of felt, you will soon be creating beautiful pieces of art for yourself, your friends and family members. The course comes with all materials and equipment provided. Tea, coffee and treats also provided, BYO lunch.